If yours isn’t here, just ask. I'm always happy to chat. Why do I need to use a freelance copywriter? Can’t everyone write? Choosing and using the right words is crucial to any business or organisation. If those words are original, interesting and skilfully-targeted, they'll motivate the reader, grab their attention, entertain them, inform them, even get them reaching for their credit card. A professional copywriter will work in partnership with you, getting under the skin of your business and your ideal audience, exploring the benefits you can offer. From there, they'll carefully select the right words to create the right message. Take my word for it, it’s a skill worth investing in. Why do I need to use a freelance proofreader? Does the correct spelling and grammar really matter? Some of us are spelling sticklers and grammar guardians, some of us aren’t. You may not think a small typo or misplaced apostrophe matter much, but to others it shows a lack of attention to detail that could instantly alienate them from your brand. And some of those people could be your future clients. Correct spelling and grammar make your website, article or brochure easy to understand and credible. 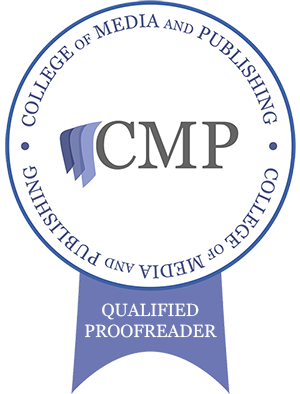 A professional proofreader's expert eye will help you make a great first impression. Don’t underestimate the power of a well-placed comma. Need proof? Google Eats, Shoots and Leaves. Get in touch for an informal chat about what you need and how I can help. We’ll then work together on a comprehensive brief which I’ll use to provide a quote and draw up a contract. If you’re happy to proceed, just pay a 50% deposit and leave me and my brain to get creative. I’ll supply a first draft and we'll collaborate to make any amends so you’re 100% copy-happy. You pay the remainder of my invoice and your shiny new words are ready to work their magic. For proofreading, I’ll review a section of your document and advise how much editing is needed. I can then recommend which of the two levels below I'll ideally work to before providing a quote. I charge on a project-by-project basis as every job is different. The total cost will depend on factors such as the complexity of the brief, the planning and research involved, the word count etc. Two sets of amendments are included in all quotes. As an approximate guide, web pages start at £100 each and blogs start at £105. Level 1, £35 per 1,000 words – checking and correcting spelling, grammar, punctuation, tables and lists. Ensuring the copy has a single voice, audience and purpose, and is consistent, coherent and factually accurate. Level 2, £35 per 500 words – all the above plus suggestions for changes to the structure and content of the text which may include substantial rewriting. I pride myself on working efficiently but accurately. So, while I’ll never rush your job, I can work quickly when a deadline looms. Get in touch and if I have availability, I’ll be happy to help. Do you specialise in any subjects? I'm willing and able to get my teeth into most subjects. My experience spans B2B and B2C ranging from photography to architecture and Direct Debit to accountancy. Self-employed since 2008, I especially love to support start-up businesses by creating the right message to get them off to a flying start.